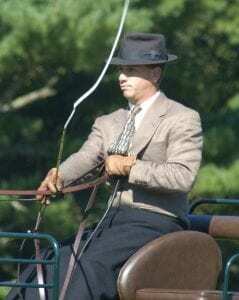 Reinsmanship, as it’s called in carriage driving, for me, as you would imagine, is quite a tactile, kinesthetic experience. Some of the movements I have to put in a coordinated effort to make happen. Most of them, however, are just a matter of muscle memory. These movements can occur completely automatically without any thought or even recognition that they took place. Those are the tough ones to put into words, but into words, I must. Of course, I’m not the first trainer to encounter this dilemma. Anyone who’s ever taught a lesson has had to struggle with coming up with the words that describe what their body just happens do naturally. This often leads to confusion as the student tries to wrap their head and body around what their instructor just said. 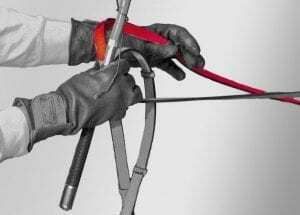 So I thought this would be a good time to make an effort to explain what I mean when I give you certain instructions, at least as far as it pertains to handling the reins. Maybe one day when you’re reading an article or lesson plan of mine, this will help you make better sense of what I’m trying to say. I tend to use this term frequently. I gravitate to this term because it leaves the door open for the reader to put what it means in their own hands. At it’s core, I mean use the rein as you would to make a turn. I almost always use the term “activate the rein” in reference to a single rein. I don’t say, pull, squeeze, or draw the rein, because those are rather specific rein actions (more on those below.) I use “activate” because everyone has their own form of communication with their horses. 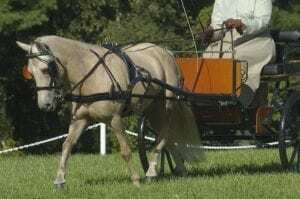 Some may ask for a turn with light jiggles on the rein as if ringing a small bell to get more wine at a posh hotel. Of course, those who drive heavier horses and ponies might smirk at the thought that such a communication could mean anything to their horse. (Guess what? Your big lunker of a horse can actually respond to those little tinker bells too!) If you drive heavy horses or ponies you probably think of something a little stronger for a turning aid. There isn’t one “right” or “wrong” way to ask a horse for a turn. It’s really just a matter of how you ask your horse for a turn that he understands. Rather than a steady draw on the rein, my idea of activation is more intermittent in nature. Think of knocking on a door rather than holding a buzzer. You are trying to communicate an action to your horse, so you want to be sure the horse can feel it as such. Long steady pulls on the rein tend to encourage the horse to push against that force. However a bump, thump, wiggle, or jiggle can be perceived as something you want the horse to take action on. Think of how you might tap someone on the shoulder to bring their attention your way. Drawing the rein is a bit different than activating the the rein. This term implies a steady, sustained pull on the rein. I do everything I can to avoid the word “pull” because for years I had all I could do to keep people from pulling hard on the reins to steer or stop their horses. A draw on the rein means steady force is applied on the bit through the rein. Where it differs from “pulling” is that you can draw on a rein, and yet still follow the horse’s movement. Drawing on a rein shouldn’t create a blocking force on the rein. 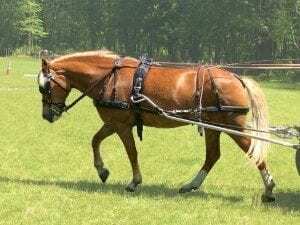 The horse should be able to feel the weight as more of a carrying, or guiding force. Here’s a term that’s better suited to riding than driving or long lining. When a student is asked to squeeze a rein, they almost invariably respond by closing the hand tightly. That causes them to flex the forearm and biceps causing them to stiffen the elbow and shoulder. That alone isn’t necessarily a bad thing. Especially under saddle, this can be quite an effective aid. It quiets the rein in that hand, which can be quite instrumental. However, in the carriage, it tends to cause the driver to lock their position in an unyielding way. That often leads to blocking the horse’s forward movement. Another pitfall of “squeezing the reins” is that people tend to think the horse can feel the rein being squeezed. When the horse doesn’t respond, they squeeze harder. Soon enough, they are crushing the reins with all their might, and frustrated that their horse just won’t listen to them. Think of the word “epic.” Here’s a word that once was used to describe tales of a grand scale that would be almost beyond the imagination. Today’s common use of the word pales in comparison so much so that a cup of coffee can be described as “epic,” given the right timing and circumstances. Like epic, the term half halt has ceased to resemble it’s origin so much that many don’t even know what it means. This despite the fact that it’s definition is right there in the words! Half: One of two equal parts of a whole. Halt: To bring to a stop. Half Halt: Ask the horse for half of a halt. In that definition, which half of a halt do you think we’re asking for? Well, you can’t really ask for just the stoppy part of the halt if your horse is moving, can you? So it’s the prepare for the stop half, that the half halt is asking for. And we wouldn’t ask the horse to stop on just one side or the other, would we? Not all activations are pulls on the rein. We can communicate just as much with a lightening or release of contact with the bit as we can through pulling on the reins. In fact, if you listen to me instructing, you often hear me saying things like “release, and half halt.” That’s because a lightening on the rein can help to accentuate the communication that follows. When I ask a student to release the rein, I’m asking them to move the hand forward enough to lose contact with the bit. How much, and for how long they lose contact really depends on the circumstances. Sometimes it’s a momentary release, such as when we’re working on getting the horse onto the outside rein. Through the middle of a turn, you can give a quick release on the rein for one second or less. It’s too short of a duration to make the horse think you want him to stop turning, but it’s enough to indicate to him that he shouldn’t be using that rein for balance. In other cases, I’m looking for a more sustained release of contact. This often comes up with green horses who aren’t willing to move confidently forward into contact. Sometimes those horses need just a little extra space to get things moving. A generous release of contact as they begin to move forward may be just what they need to feel confident they are doing the right thing. When I give the instruction to “drop the reins” I don’t literally mean to let go of the reins. This wouldn’t be a big deal if you were in the saddle, but in a carriage it could be disastrous. I usually say “drop the reins” when I want the driver or rider to have a complete release of contact with the bit. So much so that the reins loop down and away from the bit. More often than not this is when we’re taking a little break, and I want the horse to be able stand or walk without any connection through the bit at all. I sometimes also give this instruction when a horse is leaning on the reins with all of his weight. It’s kind of hard to lean against something that isn’t there! Unlike releasing or dropping the rein, yielding the rein is intended to maintain contact. You can accomplish this by relaxing your hand, wrist, elbow, and shoulder to allow your hand to drift slightly forward. This is something that we often use when we’re trying to encourage the horse to stretch forward for something like a lengthened walk or trot. That old Duke Ellington tune “Don’t Mean A Thing” says the music has to swing to say something. Activating the bit is kind of the same. When I talk about activating a rein, I’m really talking about activating the bit. You can squeeze, wiggle, or pulse on a rein to your heart’s content, but if it doesn’t move the bit, your horse isn’t going to get anything out of it. Any rein activation has to make it all the way to the bit for the horse to receive it as a communication. This is a particular problem when people talk about “squeezing” the reins. You can squeeze, crush, and virtually wring the dye out of the rein without the horse ever noticing. If what you’re doing with the rein in your hand doesn’t move the bit, it doesn’t equal a communication. At the end of the day, your driving, and your communication with your horse is something that’s unique to you and your horse. So when you read my lessons, take my words and put them into the context of how you and your horse talk to one another. There really isn’t a wrong way to do it! Thank you for this great article and clear explanations. It helps me understand how these terms differ. I think of the terms I use to communicate ‘activating the rein’. Hello Andy, Again, you make concepts in driving so easy to understand which helps me to incorporate them into my driving experience. Thank you!